We’ve all done it. Planted two or three tomato plants and then suddenly, mid-summer, we have tomatoes coming out of our ears! 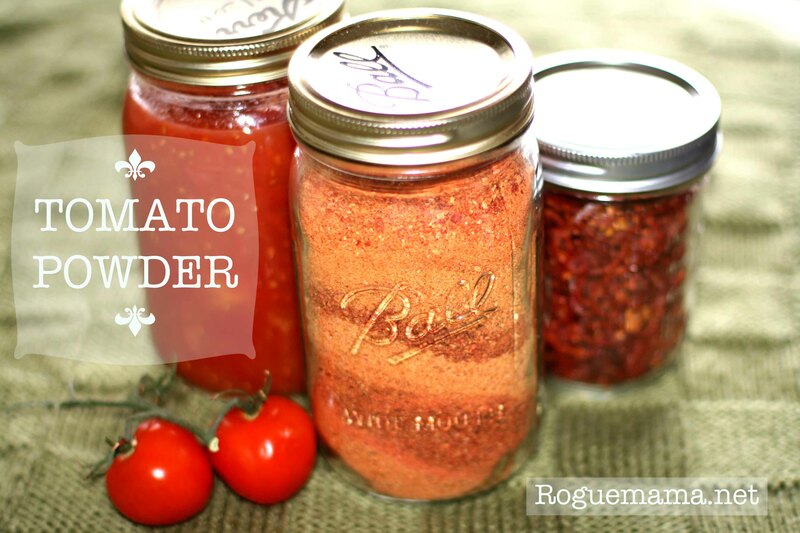 Here’s another method of preserving your herculean grow efforts – Tomato Powder! At the height of ripeness dehydrate thinly sliced tomatoes in large batches. The pictured tomato products were made from Amish Paste tomatoes; a super-tasty heirloom variety. The tomato slices need to be particularly dried. On their own they can later be reconstituted in water or oil for various applications. With a blender, food-processor or (in this case) a Magic Bullet process the dried slices into powder. 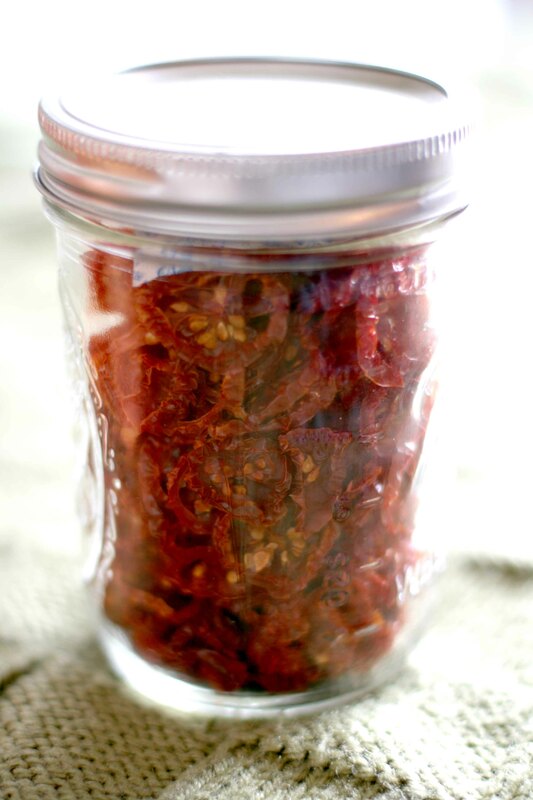 Reconstitute small amounts of the power for sauces, pastes or just to add rich tomato flavors to other dishes. 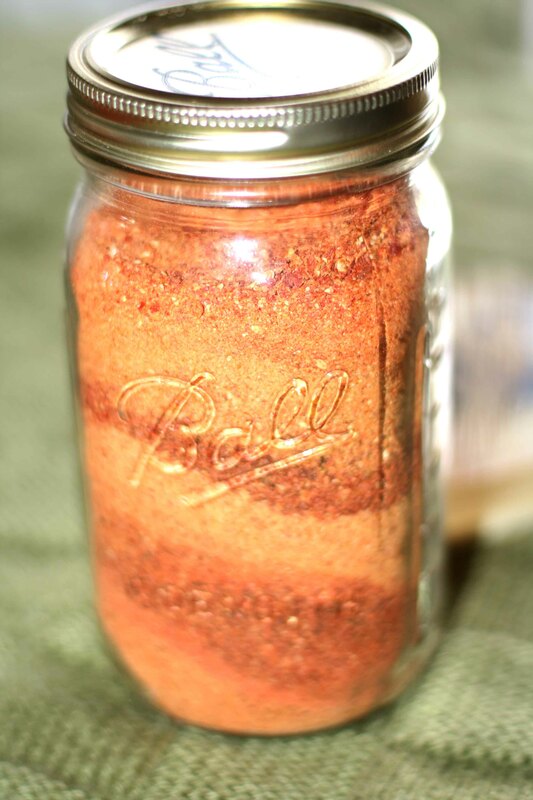 The variegated shades of powder in the jar pictured below is caused from the variety of dried tomato batches used in the powdering process.